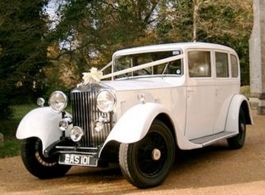 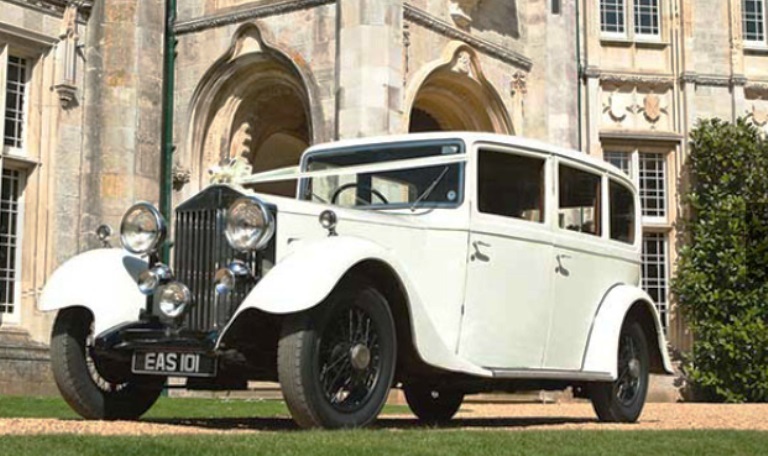 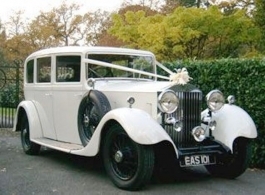 The vintage Rolls Royce must be the first choice wedding car for any Bride. 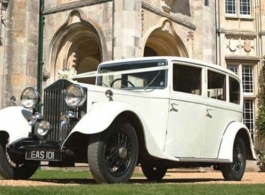 The traditional Ivory colour of this 1930's Rolls Royce wedding car is complimented perfectly by the Brown leather seating which makes a beautiful contrast to a White wedding dress. 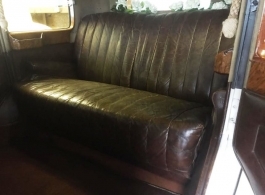 The spacious and extremely comfortable rear cabin can seat up to 5 passengers with use of the 2 fold away seats making this vintage Rolls an ideal Bridesmaids car. 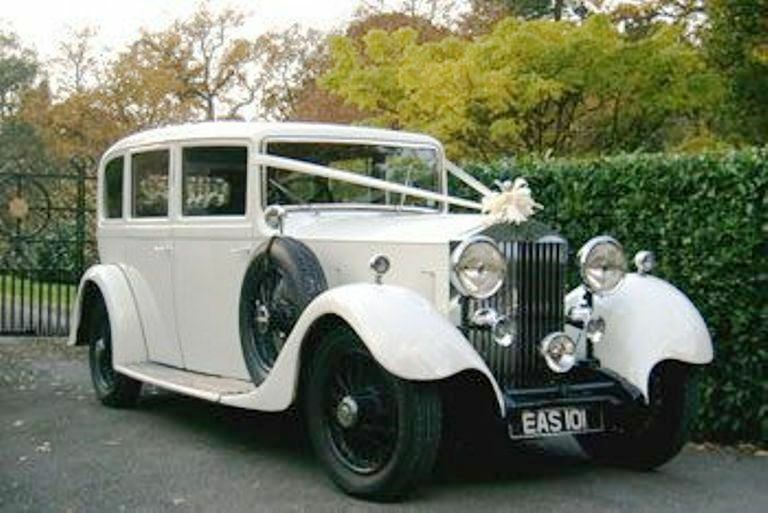 If you would like 2 almost identical Rolls Royces for your wedding please also see vehicle code 0010.